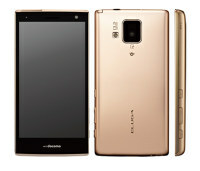 Panasonic continues to expand its Eluga line of droids. 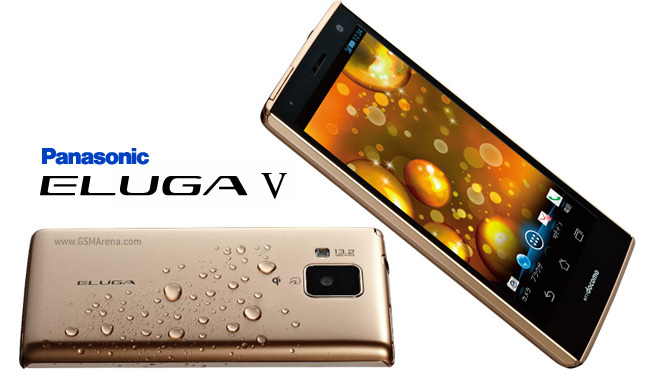 The latest addition goes by the name Panasonic Eluga V P-06D, which is on its way to Japanese carrier NTT DoCoMo. 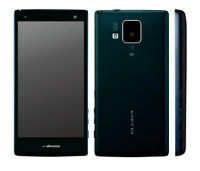 It sits between the Eluga DL1 (or P-04D as is its NTT DoCoMo name) and the Eluga Power. The Eluga V packs a 4.6″ LCD screen with 720p resolution and it’s dust and water resistant, just like its smaller counterpart, though it’s no longer as amazingly thin – its profile measures 10.7mm. Anyway, the Panasonic Eluga V P-06D comes with Android 4.0 out of the box and uses a dual-core 1.5GHz processor (it’s a Cortex-A9 CPU inside a TI OMAP 4460 chipset and not a Krait-packing Snapdragon S4 like the Eluga Power has). It also boasts a gig of RAM and 8GB of built-in memory plus a microSD card slot if you need more. The main camera has a 13.2MP sensor (hi, Xperia GX) and packs an LED flash. The front-facing camera has 1.2MP resolution. The Eluga V also supports wireless charging and 1seg TV. 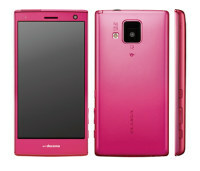 The Panasonic Eluga V P-06D is expected to launch on NTT DoCoMo’s network in June or July. While there’s no official info on an international version of the phone, we wouldn’t count it out either.